No assembly required or parts to fail! 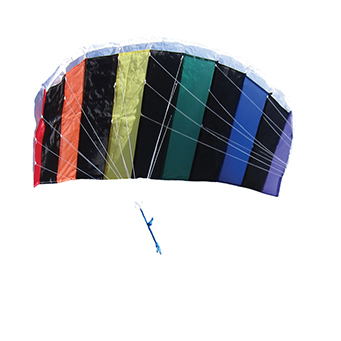 Ideal beginner kites for all ages. Young beginners 8 to 10 can start with the .5 or .7 foil, 8 to 12 look at the symphony Beach group. If you are looking for power, the 10 ft and up will provide plenty of excitement. Rush II duel line if you are looking for a trainer kite to move up to traction kiting for skiing or water.